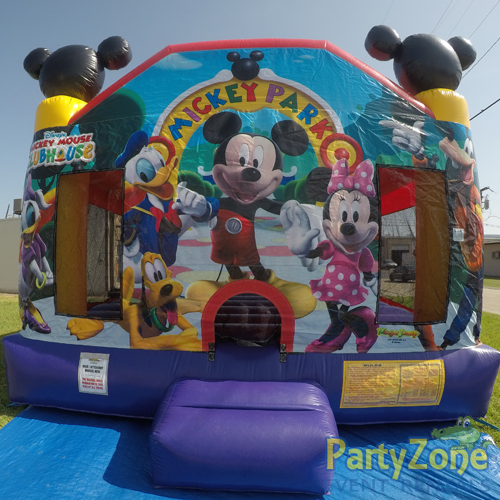 Setup area: 16ft H x 21ft W x 25ft L | Pathway of 36"
The most popular Mickey Mouse Clubhouse bounce house featuring Mickey’s ears is here to create a magical atmosphere for any little one’s party. 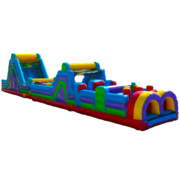 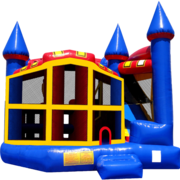 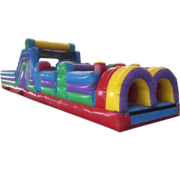 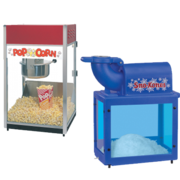 The kids will be greeted with Mickey and all his friends Minnie, Daffy, Daisy, Goofy, and his favorite pup Pluto upon entering the 15’x16’ large castle with 225 ft2 of bouncing area. 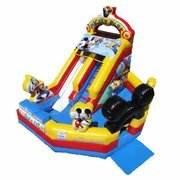 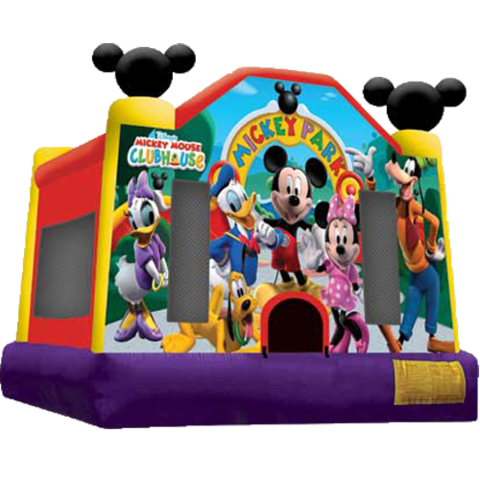 Invite the Mickey Mouse Clubhouse inflatable bouncer for your little ones who will have an amazing time with plenty of room for hours of bouncing fun. 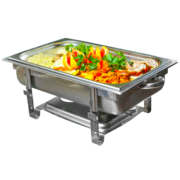 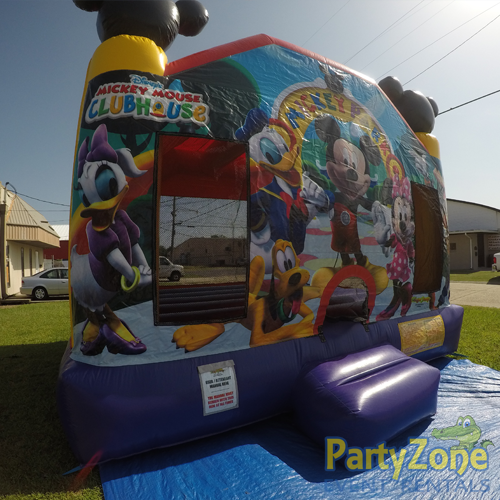 Our licensed Mickey Mouse theme large bouncer comes with all of the Mickey’s pals and his Clubhouse delivered to you for all party guests ages 3 and up. 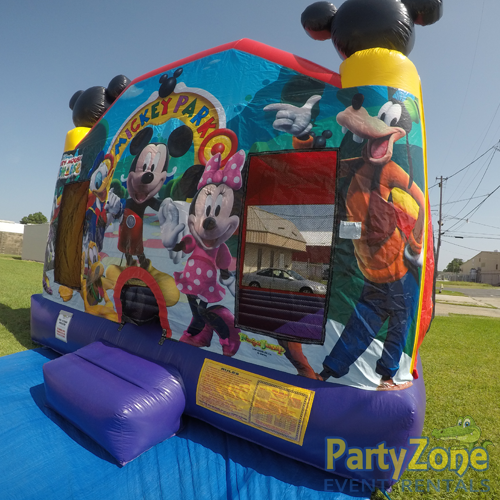 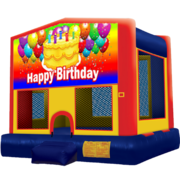 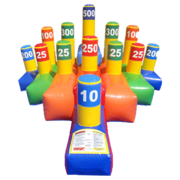 Inflatable bounce houses are a perfect way to combine fun and healthy activity all while adding a centerpiece for any kids Mickey Mouse theme party! 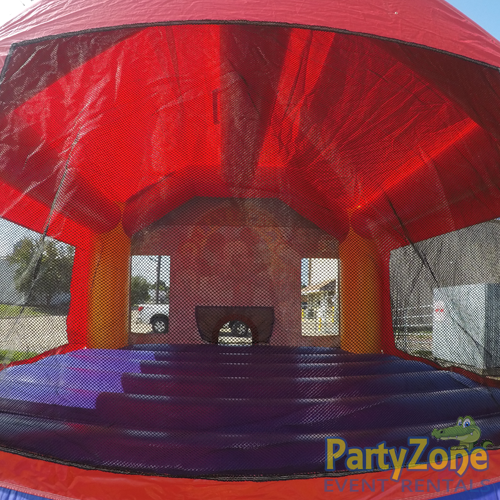 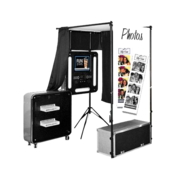 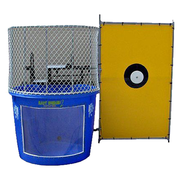 While safety is our top priority, this bouncer has 360-degree mesh windows so the parents and/or attendants have a clear view of all the fun. 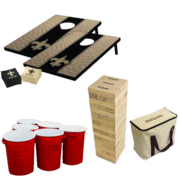 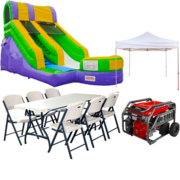 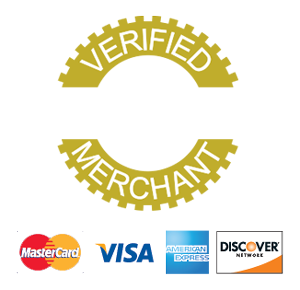 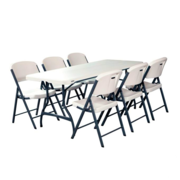 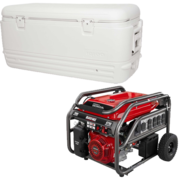 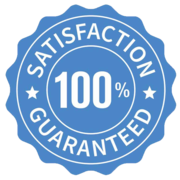 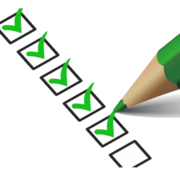 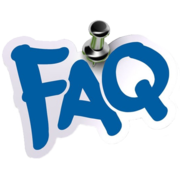 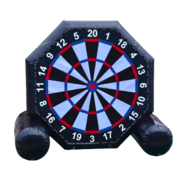 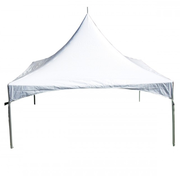 Please be aware of any setup area requirements as well as other rental requirements prior to reserving your inflatable party rental. 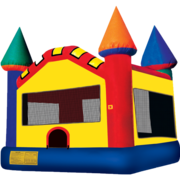 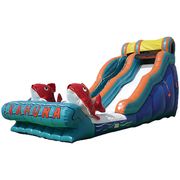 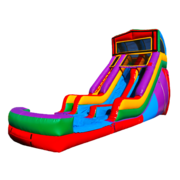 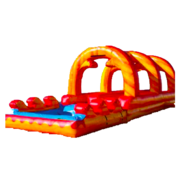 Attendants: At least 1 adult must supervise the inflatable at all times by the entrance/exit.